Talk about a Halloween announcement. 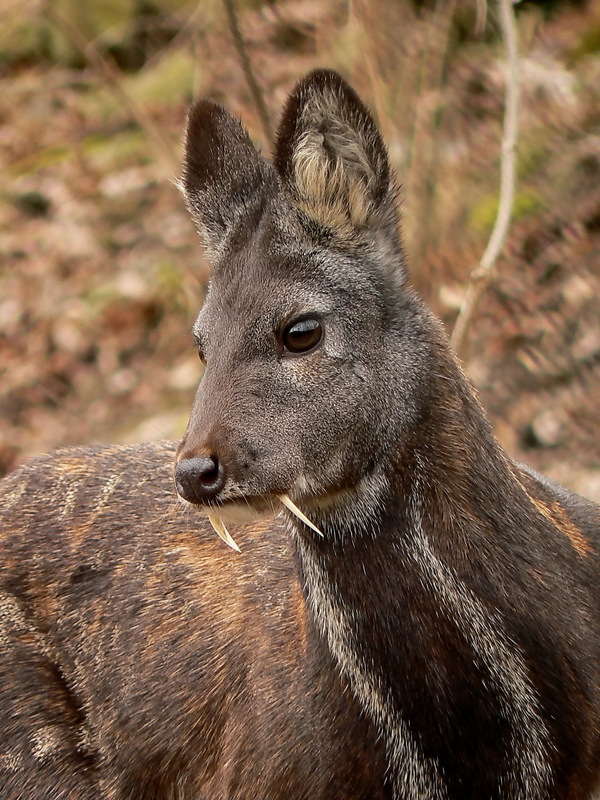 The Wildlife Conservation Society (WCS) announced last Friday that Kashmir musk deer, which are known for their strange, vampire-like fangs, have been spotted for the first time in 60 years in the remote forests of northeast Afghanistan. Musk deer were last sighted in the region by a Danish survey team in 1948. Recent surveys in Afghanistan found that a small population of the deer still persist there. The Kashmir musk deer is one of seven similiar species found in Asia, a primitive cousin to “true” deer like whitetails. These tiny deer weigh only a couple dozen pounds, can grow up to 28 inches tall at the shoulder, and are adapted more for climbing than for running. Males do not grow antlers and instead use their sharp, knife-like tusks to fight over mates. Habitat loss and poaching are the primary dangers to the musk deer’s future, and its distinctive smell—from which it derives its name—has put it at risk as well. For a poacher, a musk deer’s scent gland is more precious than gold. Believed by some to be a powerful aphrodisiac, these organs can fetch up to $45,000 per kilogram on the black market. Thankfully, the musk deer is difficult to spot even for trained researchers. A survey team operating in the rocky regions of the Nuristan Province were able to confirm at least one musk deer male and two females with young. Wildlife researchers are continuing to keep tabs on the species, but the deteriorating security situation in the province is making it hard to enter the region.